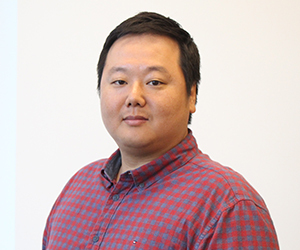 Jihoon (Jay) Kim is a second-year doctoral student in Grady College at the University of Georgia. He earned his Master of Science degree in sport management from the University of Florida in August 2012. He received his Bachelor of Science in business administration at Dongguk University, Seoul, South Korea in February 2010. His scholarly interests range widely within digital media technology studies. In particular, his research agenda involves the social implications of digital media technology such as social media and immersive virtual environments for the dynamics of media work and innovation. Bedside the effects of digital media technology on advertising markets, he also wants to further investigate the emerging role of data in mass communication and the changing nature of online advertising with technology advancements such as big data, mobile applications, and related phenomena. Phua, J, Jin, S. A., & Kim, Jihoon. (2017). Gratifications of using Facebook, Twitter, Instagram, or Snapchat to follow brands: The moderating effect of social comparison, trust, tie strength, and network homophily on brand identification, brand engagement, brand commitment, and membership intention. Telematics and Informatic, 34, 412-424. Phua, J, Jin, S. A., & Kim, Jihoon. (Submitted). Uses and Gratifications of Social Networking Sites for Social Capital: Comparing Facebook, Twitter, Instagram, and Snapchat. Kim, Jihoon., Ko, Y. J., Connaughton, D., & Chang, J. (In progress). The Impact of Performance Expectancy of a Sport Officiating Technology. Zhang, J. J., Chen, K. K., & Kim, Jihoon. (2013). Leadership on a global scale. In J. F. Borland, G. M. Kane, & L. J. Burton (Eds. ), Sport leadership in the 21stcentury. Burlington, MA: Jones & Bartlett. Phua, J, Jin, S. A., & Kim, Jihoon. (2016, June). Uses and Gratifications of Social Networking Sites for Social Capital: Comparing Facebook, Twitter, Instagram, and Snapchat. International Communication Association (ICA), Fukuoka, Japan, June 9-13. Phua, J, Jin, S. A., & Kim, Jihoon. (2016, March). Gratifications of Using Facebook, Twitter, Instagram, and Snapchat to Follow Brands: Influence on Brand Community-Related Outcomes. American Academy of Advertising (AAA), Seattle, WA, March 17-20. Kim, Jihoon., Ko, Y. J., & Connaughton, D. (2014, November). Determinants of Consumers’ Performance Expectancy for Technology in Sport Officiating. Presented at the 2014 Sport, Entertainment and Venue Tomorrow Conference (SEVT), Columbia, SC. Kim, Jihoon., & Zhang, J. J. (2013, May). Identification of Factors Affecting Consumer Adoption of Sport-Related Mobile Applications: Development of a Conceptual Framework. Presented at the annual conference of North American Society for Sport Management (NASSM), Austin, TX. Kim, Jihoon., & Ko, Y. J. (Advisor) (2012, October). Determinants Consumers’ Perceived Benefits and Attitude toward the Use of Technology in Sports Officiating. Presented at the annual conference of Sport Marketing Association (SMA), Orlando, FL. Kim, Jihoon., & Ko, Y. J. (Advisor) (2011, October). Understanding Consumers’ Perception and Attitude toward Technology in Sports Officiating. Presented at the annual conference of Sport Marketing Association (SMA), Houston, TX.